in any colour, pattern or type of fabric, now is your chance! Mary-Louise will be teaching you to make a simple underwired, 2 or 3 part cup bra as a way of learning the full range of techniques involved in the bra making process. 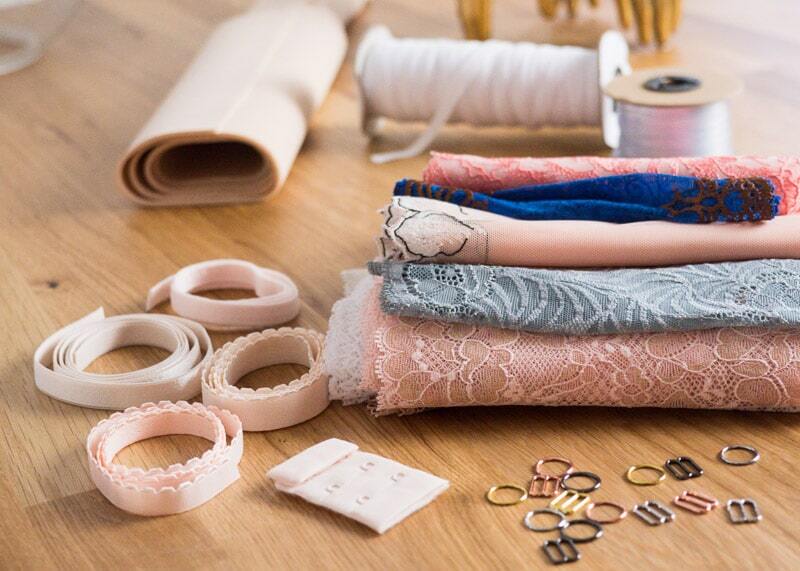 From working with fine laces to stretch fabrics and elastic, sewing small shapes and curves, and using rings, slides, underwires and channelling. From 9:30 am – 4:30 pm this is quite an intensive day but really fun and rewarding. Not a beginners class, you will need to have reasonably good sewing machine skills. A simple sewing kit (scissors, hand sewing needles, pins, tape measure etc.) this is all available to purchase in store. A fabric and notions pack will be available to purchase on the day, including all materials required priced £12 – £15 depending on fabric choice. Patterns are offered for use from sizes 28 A-G through to 44 A-G, however please note fit cannot be guaranteed. You will need to provide your size requirement prior to the class, your current bra size is sufficient. We also hold separate knicker making workshops, please check the calendar for dates.